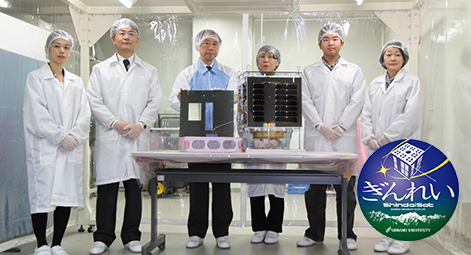 Developed since 2012 in collaboration with a Nagano company and built in Shinshu University, Ginrei is the world's first super small manmade satellite to conduct long distant visible light communication test. It was launched into space in 2014. A contest to select a nickname for the satellite attracted many entries while arousing great interest in the venture. Under the university's vision for a fusion of industry-academia-government collaboration at an advanced level, the liaison activities of Shinshu University have made a continuous progress by undertaking sensitive and massive initiatives with multi-faceted perspectives based on the circumstances of the university and related industries, while cultivating and deploying a great number of specialists. In FY 2014, we have reorganized into the Shinshu University Industrial Liaison and Social Engagement Organization to enhance the Shinshu Industrial Liaison Office in order to further contribute to the activation of the local communities by carrying out our social liaison activities in a more organized manner, which in the past frequently depended on the efforts of individual faculty members. This organization assembles specialized personnel in research administration and industrial and local liaison and will bring synergistic effects by the cooperation of specialist supporting members that also will raise the quality of each work. Also, by strategically supporting this specialist supporting staff, the industrial liaison and social engagement activities of Shinshu University will be further deepened and promoted, thereby accelerating innovative creation and contributing to the development of the local communities, particularly in the 5 institutes of the Interdisciplinary Cluster for Cutting Edge Research (ICCER) and the Global Aqua Innovation Headquarters for Increasing Water-sustainability and Improving Living Standards in the World, a core hub of the Centers of Innovation (COI). 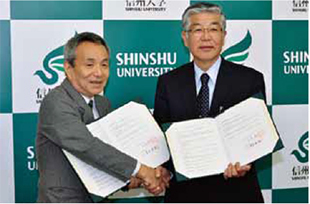 Shinshu University aims to further promote the third mission of the university, namely "social contribution", by utilizing the advantages of a comprehensive university to initiate bold collaboration between the fields of humanities, social science, and natural science, while expanding innovative and advanced education and research. In recent years, under the system of cooperation with the local communities, we have aimed to contribute to the local industry and local communities as a center of learning. Global Aqua Innovation Center aims to meet the worldwide future social needs for water supply enough for everybody in the world. We are to build the innovative water desalination and circulation system which cannot be realized with the extension of the existing techniques, using the robust separation technologies, enabling desalination from various water sources and circulation of clean water. In order to effectively utilize mulberry, which was a special product that was harvested everywhere in Nagano Prefecture in the era when sericulture was at its height, "Shinshu University Kuwarinto" has been commercialized through collaboration with a local company. The students have experienced the whole process of product development ranging from development of recipes, package design, through to sales in shops. Industrial liaison activities that utilize local resources are being promoted. 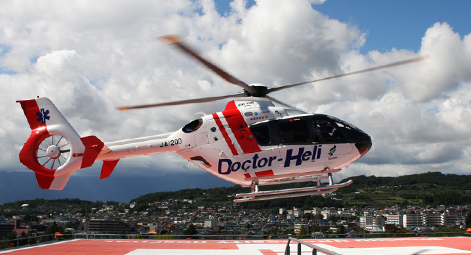 The service was launched in October 2011 to provide a higher level of emergency medical aid. According to the "National University Local Contribution Ranking" published by the Nikkei Research Institute of Industry and Regional Economy in 2012, 2013, and 2014, Shinshu University was ranked as the No. 1 in three consecutive years. There are many factors behind receipt of such a favorable review. We offer quite a few open lectures and off-site lectures, symposiums, and forums. We also participate in a variety of industry-academic-government collaborative projects as well as many entrusted researches and co-studies. Also, we have a quite few collaborative agreements with local communities and organizations. 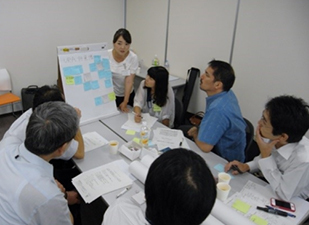 Leveraging the feature that our campuses are scattered within Nagano Prefecture, we work on a wide range of collaborative projects such as solving issues of semi-mountainous region and handing down of the local cultures in various parts of Nagano Prefecture. The characteristic is that many activities are led by not only the teachers and faculty members, but also by students and student circles. We aim to acquire, manage, and utilize intellectual property rights as employee inventions for inventions, etc., arising from the work of the academic staff of Shinshu University. The main intellectual property we acquire is patent rights, but we also obtain utility model rights, design rights, and registration of breeds in accordance with the Plant Variety Protection and Seed Act. 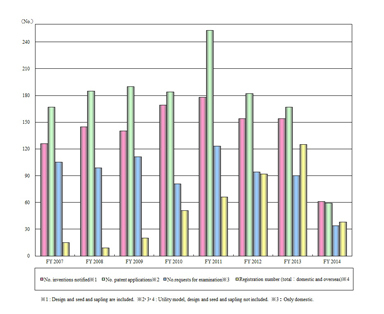 The number of patent applications and registrations has increased every year since 2004 when the university was incorporated as a national university corporation. Activities to manage intellectual property arising as a result of collaboration between the university's researchers and companies is entrusted to the companies, but utilization of patents independently applied for by the university is carried out jointly with Shinshu TLO Co., Ltd., with which the university has concluded a comprehensive work agreement. 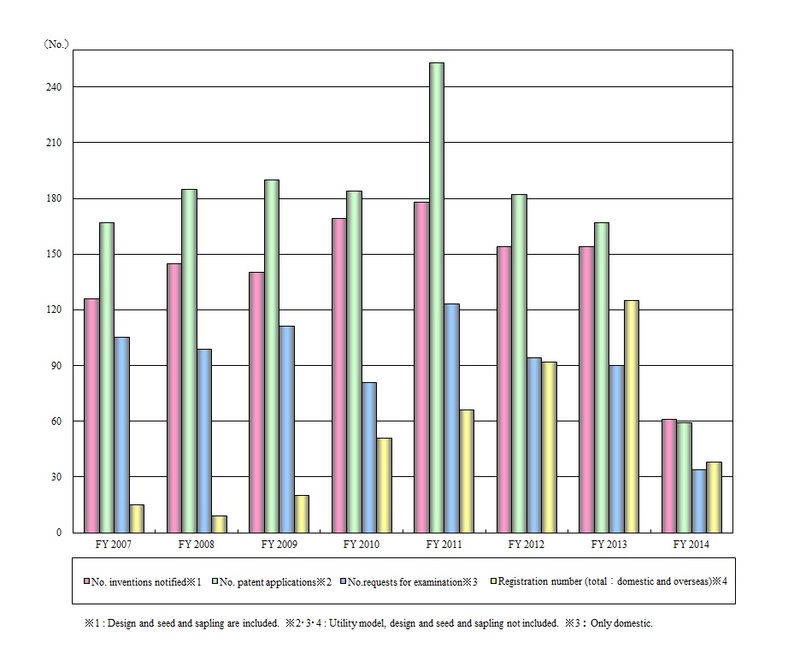 There are many applications for joint research from companies that want to further expand on the company's patent applications, and they coordinate and formulate contracts with these companies. At Shinshu University, University Research Administrators (URAs) and Coordinators are deployed as specialist staff members to support education and research. URAs provide all kinds of support for planning, operation, and formulation, supporting each individual researcher, planning and operation for collaborative research between industry-academia-government for which competitive funding has been introduced. URAs produce effective results by accurately matching researchers, companies, and local governments, and construct networks to effectively utilize the results of the research. We have constructed a system to secure and train appropriate human resources to perform the duties of Shinshu University URAs, and to enable the URAs to rapidly and strongly liaise with each of the relevant departments. On the other hand, as the URAs provide support for research and education mainly for researchers within the university, Shinshu University uses Coordinators to act as a bridge between the local companies, local governments, etc., and the university. Coordinators are mainly former researchers or engineers from companies, so they support technology transfer from the university and the promotion of joint research between companies and the university by fully utilizing their experience and networks cultivated in the companies. Entrepreneurship education is carried out by holding entrepreneurship seminars, project management seminars, other lecture meetings and workshops, to cultivate the spirit of entrepreneurship. Support is actively provided for students to participate in external contests for start-up ventures. Business experience is provided through initiatives ranging from product development, commercialization, and sales using mulberry. In this way human resources are cultivated with the skills to use analytical equipment and to realize their ideas.